Unexplained Infertility: Clomid and IUI or Is There a Better Way? Unexplained infertility is a diagnosis that can either drive you crazy, or if you dare to do some out of the box thinking, it can become your lucky break. If that doesn’t work, you’ll be told to move on to the big guns of IVF (in vitro fertilization). That’s when you stop trusting the sperm to find his mate, instead you place them in a petri dish, or in some cases actually inject the sperm right into the egg. In baby-making jargon that’s called ICSI or intracytoplasmic injection. If your luck still doesn’t turn, you may very well end up going for ten, in some extreme cases as many as twenty in-vitro cycles. So, if this potential scenario doesn’t appeal to you, you could also consider an entirely different road to decoding the mystery of your unexplained infertility; a radically holistic path called the Fertile Heart OVUM Program. the obstacle to pregnancy has not yet shown up on a physical level. But your body is not attacking you. 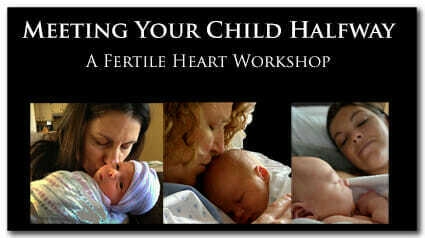 You’re simply being asked for help with the labor intensive task of preparing a safe first nursery for your child . the narrowly defined battery of tests focused on charts and graphs have failed to pinpoint the problem. Because charts and graphs tell only part of your story. your body is actually giving you a chance to discover hidden issues in your tissues; depletions on a physical, emotional and spiritual level. Now you have an awesome reason to heal those imbalances and save yourself from a way more challenging health threat later in life. The choice is yours: follow the formula that can wreak havoc on your cycles and pull you into a black hole of repeated failures. 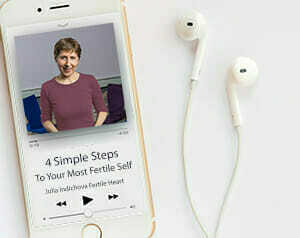 Or use the stories of women like Gen, and Catherine and countless other Fertile Heart mamas who not only conceived naturally after more than 5 years of unexplained infertility, they also found a brand new way to think about their bodies and their lives. Take a look, here is one more stunning story of unexplained infertility that morphed into a life-changer like no other!